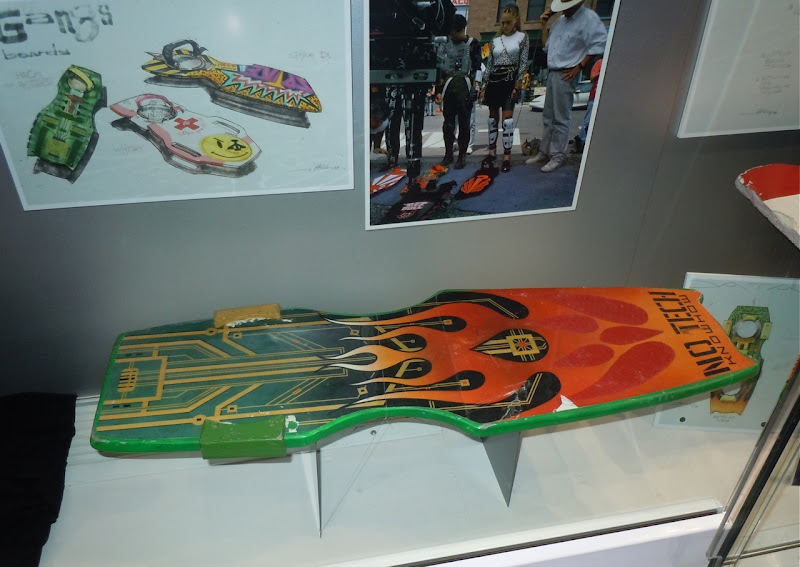 Remember back in 1989 when the coolest thing was the 'hoverboard', flying skateboards, that Michael J. 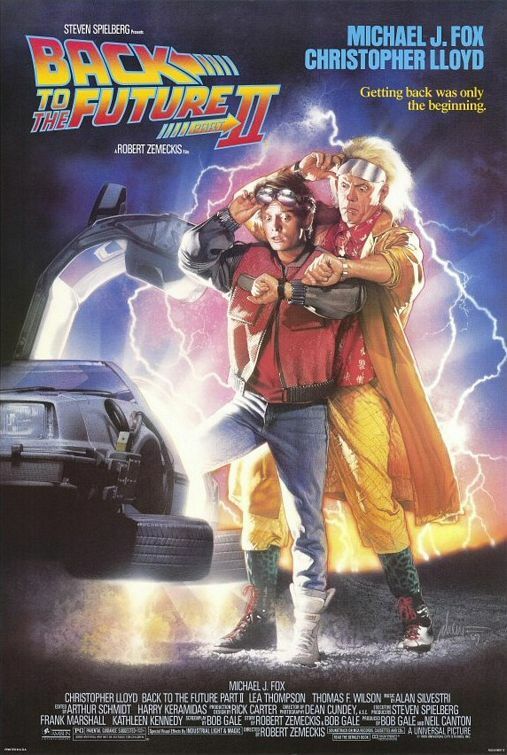 Fox uses as 'Marty McFly' in Back to the Future II? 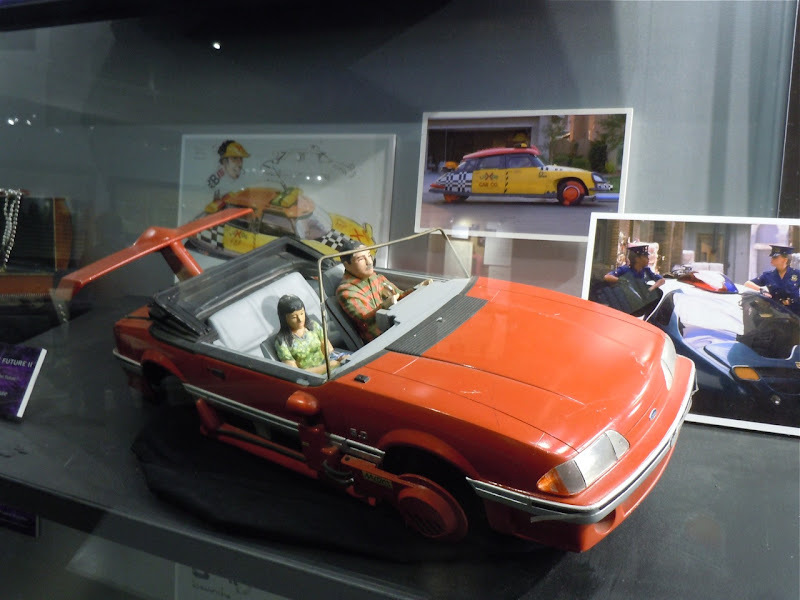 If you do, you'll love these photos of two of the hoverboard props featured in the time-traveling sequel. Apparently it's what all the kids will be riding in 2015. 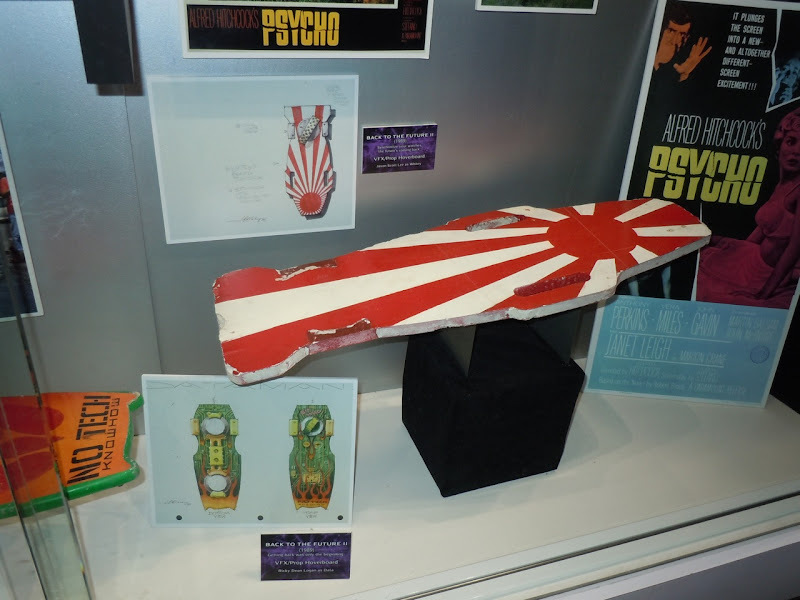 The red and white 'Rising Sun' design was used in the movie by 'Whitey' played by Jason Scott Lee and the 'No Tech Knowhow' hoverboard belonged to 'Data' played by Ricky Dean Logan. 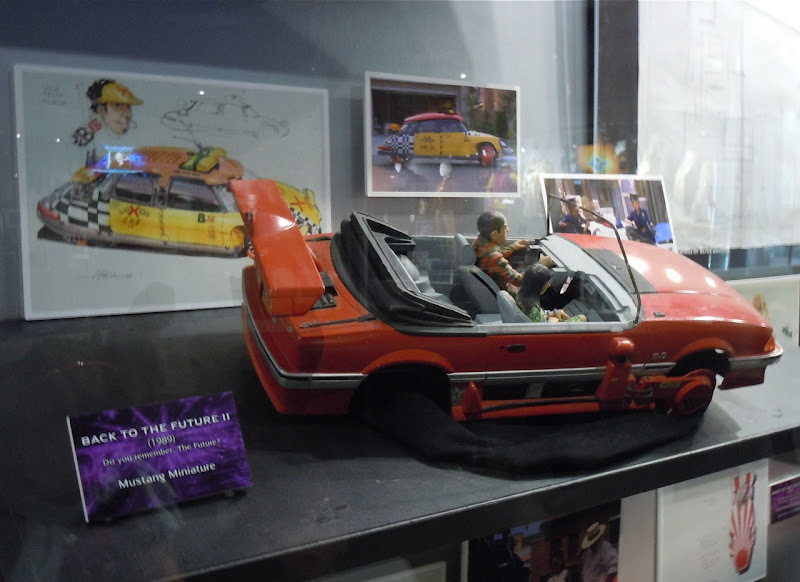 Also on display at Universal Studios Hollywood on June 21, 2010 was this other vision of the future, what designers thought a Mustang car may look like in 2015 back in the late eighties. 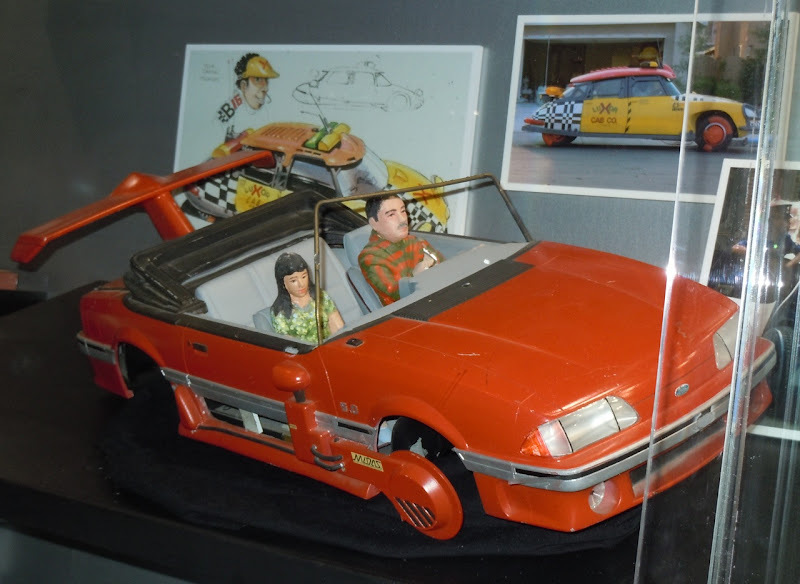 Make sure you also check out more miniatures and cars from the Back to the Future movies here at Hollywood Movie Costumes and Props.